Cinco de Mayo is this Saturday. Do you have any plans to celebrate? We certainly do, and we’re happy to share a few tips to help make your Cinco de Mayo celebration the toast of the neighborhood. But first, let’s learn a little bit about the origins of Cinco de Mayo. Cinco de Mayo means “fifth of May” in English. Many Americans erroneously believe that the holiday celebrates Mexico’s independence from Spain; however that holiday is actually on Sept. 16. Cinco de Mayo celebrates the Mexican victory at the Battle of Puebla, where a small, poorly armed Mexican militia of about 4,500 defeated a well-equipped French army numbering near 8,000. 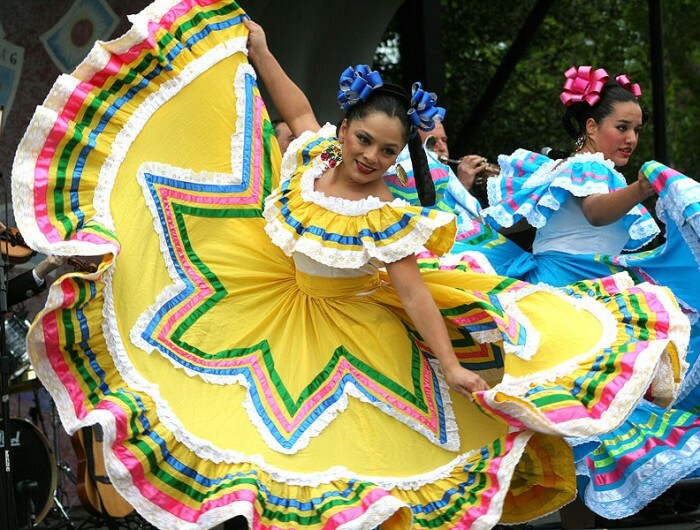 In the U.S. the holiday is primarily a celebration of Mexican culture and heritage. Cinco de Mayo is a joyful celebration, so try to use light, jubilant colors. If you really feel like sticking to a strict theme, try using the colors of the Mexican Flag – green, white and red. There are two reasons why you should serve fresh guacamole at a Cinco de Mayo Party. 1.) It is delicious and 2.) It is very easy to prepare. Simply take a bunch of avocados, mash them up (without the skin or seeds included, please), and mix in onion, tomato, hot peppers or whatever else you might enjoy. Serve with corn chips. If you’ve got small children or just feel like getting into the arts & crafts spirit, set up a Make-Your-Own-Maracas table. Just get some paper cups, dried beans, glue, masking tape, and decorative options such as paints, buttons, pom poms, stickers and more. Put the beans (or any other little noise maker) in a cup, glue another cup on top, tape it up for added support, and decorate however you like. Do you want to get really crafty this year? Try making your own piñata. You can find great instructions here on wikihow. This entry was posted in entertainment and tagged cinco de mayo, guacamole, maracas, pinata, puebla. Bookmark the permalink.